Thge coconut palm sugar is a naturally rich flavoured, low-glycaemic sweetener. Sustainably grown, it has a sweet caramelly flavour and can be directly substituted for granulated cane sugar in any recipe. Use it in baking, coffee, tea, or to sweeten raw chocolate recipes. 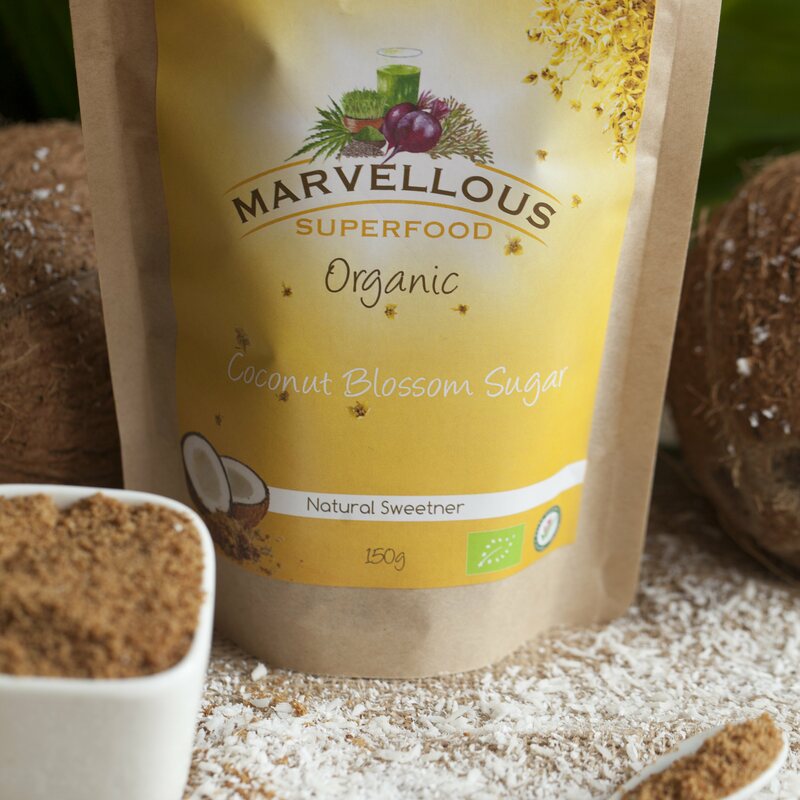 The Coconut blossom sugar is grown to fair trade standards. Available in 150g and 450g. This product is dispatched by Marvellous Superfood. This item has a shipping weight of between 150g and 10,000g depending on the options selected.